We harvest only from hives that have enough food for the hive to last a winter within the brood box already. By using a check list we can ensure that any supper we take will not endanger the hive in anyway and ensure a traceable document that starts the trail from hive to spoon. It is this checklist that has enabled us to maintain a 5% or less loss rate in all our apiaries. 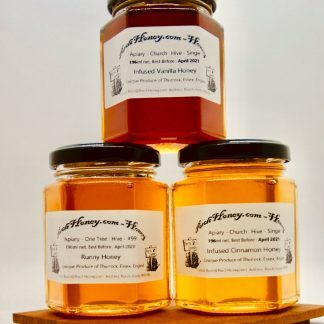 We do not blend honey from any two or more hives but rather keep it separate encapsulating a myriad of tastes depending on the flowers they visit throughout the season and this will vary season on season. I purchased honey from T2 sold to me by Sam at Borderfest south. I was told that the flavour was unique and since I have tried several other local honeys and to my surprise they were right. I have since ordered more. Sam and Kim had the most unique stall where they poured the jars in a clean room after I ordered was fascinating to see and I know it’s fresh and not sat on a shelf. I follow the guys on Facebook and now love the honey. Simply delicious the best honey I have ever had. This honey is worth every penny. The boutique honey is all I hoped for when I read about it. I message Kim a number of times regarding the sssi meadows the honey comes from and received prompt responses. 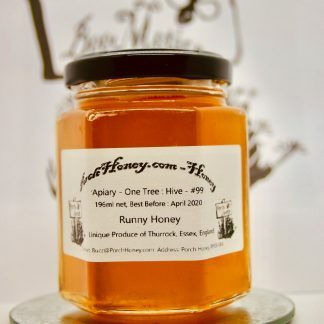 This honey is a must try. They limit the harvest to help the wild pollinators well that is brilliant just brilliant!